Photographs will be your most treasured wedding memento. Surely, you will post them on your social media when your photographer hands them to you, and 50 years from now, you’ll look back at them, remembering about your vows, the kiss, and the smiles on everyone’s faces. 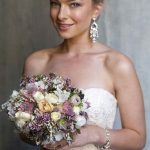 Hiring the right wedding photographer to capture those to touching moments is a crucial part of the planning process, as essential as selecting a venue or searching for the perfect dress. It can be challenging to find a pro who understands your vision for your big day and can document it with style. Follow the tips below to help you search the right wedding photographer to entrust with this task and get the perfect photos to treasure eternally. Before you start looking for the right photographer, you need to decide first on what photography style do you want, since it will help you determine which kind of photographer you prefer to shoot for your wedding. Spare some time to think of any imagery you like, from decoration shots to an Instagram feed of a fashion blogger. Once you already collected inspiring shots, try to narrow down your options and examine what feels most genuine to you and your groom. If you love bold and sharp photos, maybe a photographer with an aptitude for the dramatic style is the perfect choice for you. Keep in mind that there’s no need for you to focus on one particular style since lots of wedding photographers can do a mix of documentary-style and portraiture shots. Word of mouth is one of the most effective methods of finding the perfect photographer. Friends usually share the same style and similar budgets. Did you love the wedding photographs your friend posted on Instagram? Send her a message and don’t be too shy to ask her about the photographer and if she would recommend his or her services. Gather recommendations from your other friends who got married recently, or from your wedding planner and the manager of your reception. You can also try checking the feeds of some wedding magazines and blogs. Allow yourself to get lost in an endless scroll. Finding the right photographer is not a decision that you can easily make so you should meet your prospective photographers personally. 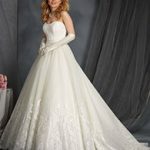 If you got interested by what you see on their site, especially if their rates are in your budget range, contact them to see if they’re available on the day of your wedding. Set up personal meetings with three to five potential photographers so you’ll get to check more of their credentials and portfolios. Make sure that their collections include recent wedding photos that they shot from start to finish and not only the highlighted pictures from dozens of various weddings. During the interview, remember to ask questions such as who will exactly shoot on your wedding day. Some huge studios employ many photographers, so request to see the portfolio of the photographer who will be shooting on your big day. Once you evaluated each potential photographer’s work and rates as well as narrowing down your options, it’s time that you assess their personalities. Remember that aside from your soon-to-be husband, you’ll spend the entire wedding day with your photographer, so you need to ensure you feel comfortable with him or her. Don’t forget that this person will be shadowing your every move, and if you and your groom are more at ease with your photographer, better shots will turn out. To get perfect photos, this person must be assertive enough to capture great moments, persuasive enough to coax natural stances and relaxed smiles from the guests. You might get excited to view the final product and place it on a beautiful photo book that you can get from sites like MILK Books, but it usually takes less than a month to claim those photo proofs back from your wedding photographer. Why is that so? He or she shoots huge raw files far more extensive than your usual JPG. It takes longer time for the photographer to upload process and edit all of those raw files. Will I get high-resolution or low-resolution photos? Will the proofs I see be the enhanced versions, or that will happen after I choose that images that I want? Will I get the prints I made, or does the wedding photographer keep the rights to the photos? 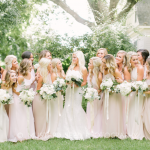 Your wedding day might be fast approaching, and you can’t wait to walk down the aisle and say your vows in your stunning bridal dress, and you surely need a wedding photographer to capture all of these special moments. 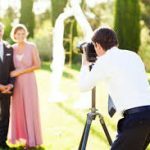 With lots of photographer popping everywhere, you might get confused on whom to hire, so the steps above will surely help you get the best wedding photographer. Author Bio Yesh Quijano is a travel blogger. He loves to visit various places and learn about different cultures. Yesh doesn’t want to miss a single moment and scenery that’s why he makes sure he captures everything. When he’s not on a trip, Yesh writes for MILK Books to share some tips and knowledge about photography and travel. Top fun tips to make engagement public today!